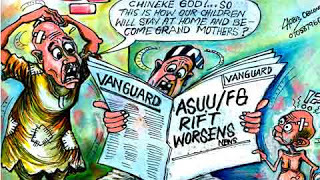 As different reactions continue to trail the ongoing ASUU strike, opinions among Nigerians also remain divided. Some support ASUU as they continue the strike while others want ASUU to make a compromise in their demands so that students can go back to school. Some have even gone a step further to accuse ASUU of selfishness. A section of Nigerians are beginning to run out of patience over the lingering ASUU strike that has kept students at home for more than a month. Even though opinion is divided by Nigerians over the strike, some Nigerians have opined that pointing accusing fingers at anybody as a result of the ongoing strike will yield little or no positive results. Recall that President Goodluck Jonathan and his cabinet members, especially, the Minister of Finance and Education have been at the receiving end since the strike action commenced. Even though the presidency has allayed fear that the agreement which was signed under a different administration would have adverse effect on the nation’s economy, President Jonathan has accepted to bear responsibility for the ongoing strike action and has appealed to the aggrieved lecturers to go back to classroom while the negotiation continues, or better still make a reasonable attempt at shifting ground. With several appeals from the government and other well meaning Nigerians on the need for the Academic body to resume work, many Nigerians are of the opinion that ASUU would have relaxed its decision and considerably shift ground. A TV personality with AIT, Comrade Kross O. E affirmed thus ” My best take on the ASUU strike is best defined with the proverb that says, “when two elephants fights. it’s the grass that suffers”. Related: More news on ASUU Strike!